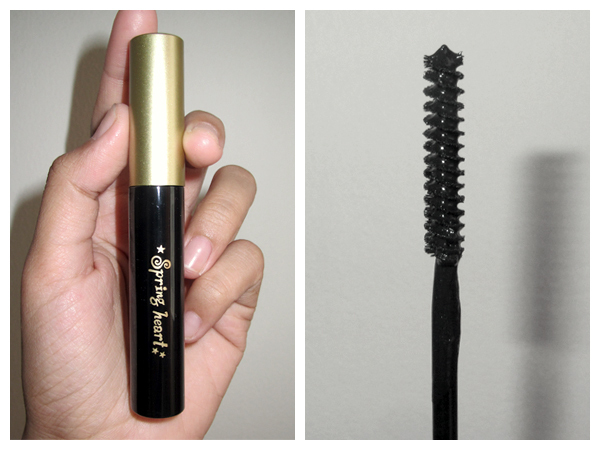 Today I want to share my review of a mascara from Kay Collection. Honestly I've never heard about this brand before. It is Japanese brand. So I googled ^^. Most of Japanese brands have excellent quality. I have to prove it by myself if this Spring Heart brand is one of them. Let's see.. It comes in a bling-bling packaging =D with Japanese words XD So fancy! Those colorful hologram effect is so catchy and fun to see. But the tube itself is not as bling-bling as the packaging. It is a simple black & gold cylinder tube with gold color for the brand name. When I opened it for the first time, the smell is so annoying. It is so not nice! (-_-") Okay, most of mascara smells weird. But this one is super-weird! 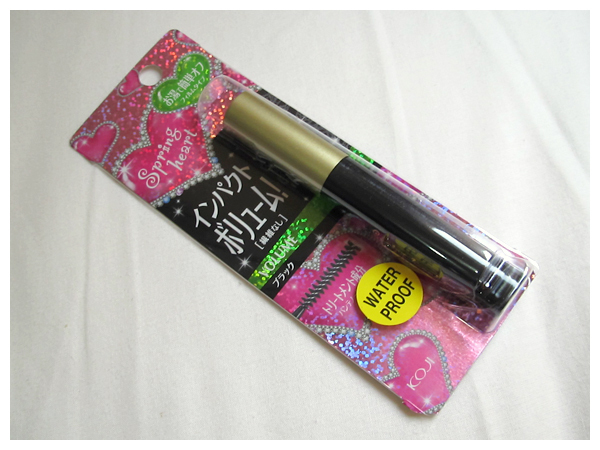 Koji Spring Heart Volume Mascara (Black). So bling-bling eh? 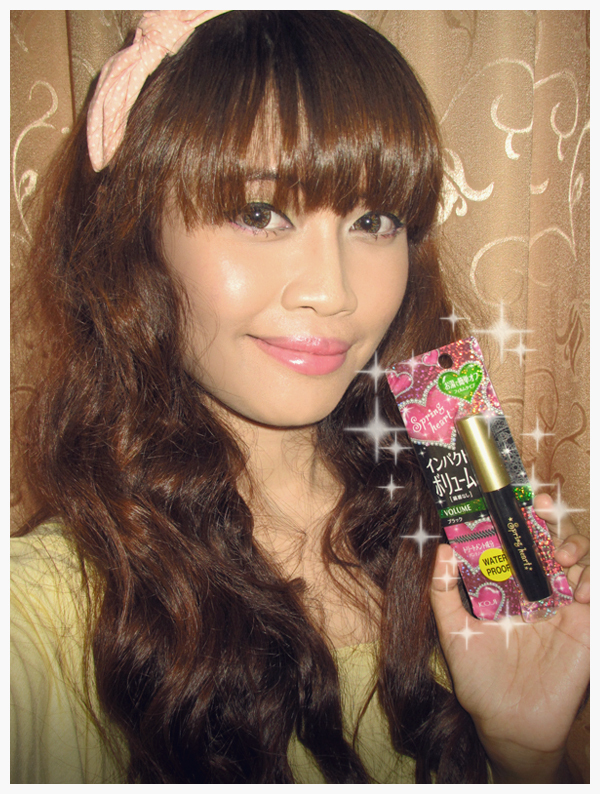 ^^ The "not so bling-bling" tube & spiral brush. - It does lengthen and curl my lashes a little. It also gives volume to my lashes. Great! - The brush is not too big, so it can reach the inner & outer part of my lashes. - It has a great staying power ever! It doesn't smudge at all! Even when my lids become oily, the product still there. Sweat resistant! - It smells weird, like I've said before. But the smell is gone a few seconds after application. - The tube is too simple and boring. - It doesn't dry quick enough. You'd better use a paper when applying it on your lashes, so the product won't dirt the area around your eyes. See how this product works on my lashes..
Before & after I apply it. My lashes seemed to get longer. ^^ It also curls my lashes a lttle. 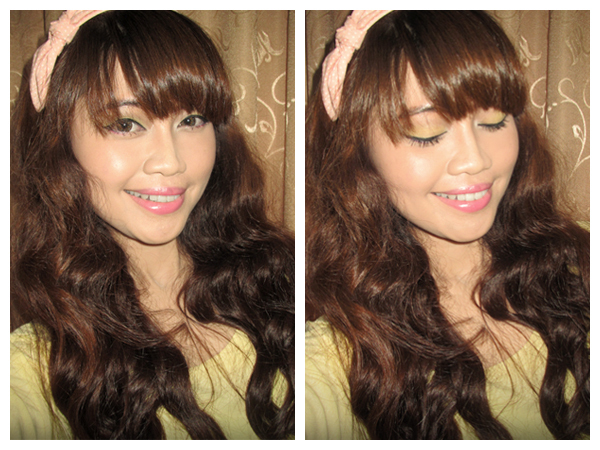 I love the result after I curl it with heated eyelash curler. Gorgeous! I admit this product quality is very good like most of Japanese products. This mascara is very recommended for you who need a non-smudge & great mascara and too lazy to put on false lashes everyday, like me. 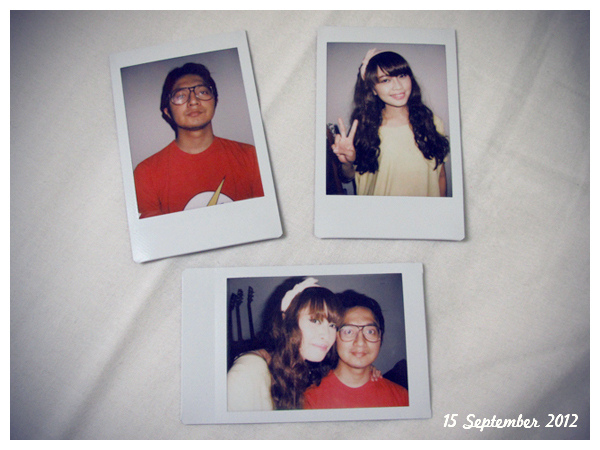 XD You can get it at Kay Collection! Where to find Kay Collection? XD ada sound effect nya gitu ya *tring-tring* The power of make-up, daaghling..
KK Carryn cantik mukanya itu mulus banget, cantik..
Susan> Sebenernya ini lagi tahap perawatan. Beberapa bulan terakhir saya jerawatan parah karena hormon. Tapi sekarang udah mendingan abis berobat ke Erha, saya cocok sama dokter & krim2nya. Sekarang tinggal bekas2 jerawatnya aja. hasil maskaranya kayanya lebih dramatis dibanding stiletto ya?? tp minggu kmrn aku baru beli stiletto gara2 mbaknya :p haha aku suka sih,,lebih oke dibanding cat eyes. sukaaa sama rambutnya, catnya pakai apa? dandanannya do-able banget deh. PCOS? You are not alone! Emina Cosmetics, My Favorite Things! Design by Carryn. Powered by Blogger.